What sources of information are K-12 district and school leaders currently using to make education technology purchasing decisions? How is efficacy research used in their decision-making processes? 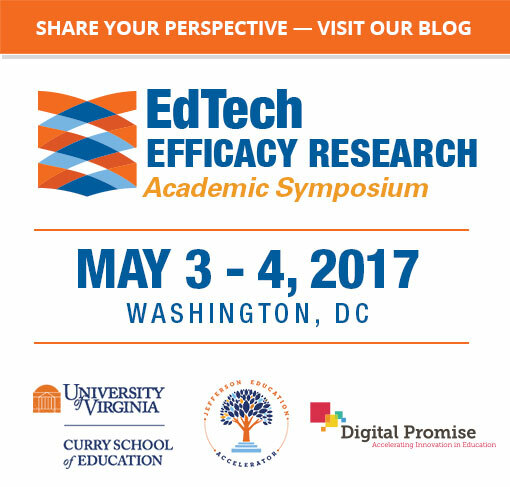 How often do districts conduct their own investigations / research into the efficacy of various EdTech products? Many organizations and school districts are working to improve K-12 procurement – i.e. the process of discovering, evaluating, purchasing, and implementing technology. These efforts have identified a set of challenges that schools and school districts face when trying to achieve their goals with purchased technology, including lack of access to reliable and valid product efficacy research. Without this information, many districts rely heavily on peer recommendations and pilots to inform purchasing decisions. Still, the process and culture of purchase decision-making within schools and districts, and the role of research in that process, is not well understood. Deeper understanding of the practices and culture of K-12 procurement is needed to identify challenges and potential solutions for improving K-12 procurement. Our Working Group seeks to illustrate the overall logic model that organizes school and district’s technology purchasing and other related implementation decisions. We will conduct and publish a set of case studies that trace a past procurement decision making process in one school or district from discovery to post-implementation evaluation. With the resulting logic model and supporting interviews, we hope to develop a tool that any school, district, or organization can use to guide their education technology procurement-related decisions. Our Working Group will select initial case study sites based on an initial demographic analysis of districts and schools. We hope to select subjects, schools and school districts, that are potentially representative of many others. If you or your organization are working with a school or school district that would like to participate as an initial case study site please email research@digitalpromise.org. Prior to starting TEC, Hal was Chief Information Officer of New York City schools, America's largest school district, with over 1 million students, 100,000 employees, and 1,800 schools. Adam leads product for the award-winning Edthena video coaching platform. A former classroom teacher, Adam previously served on the Teach For America national strategy team designing research-informed technology systems for teachers. Aubrey has Research & Development experience in both the biomedical and education fields. She currently leads Digital Promise's research communication and ed tech pilot efforts. Britt began her career as a teacher in NYC. Prior to joining Overdeck Family Foundation, she was the Director of Special Projects at the NYC DOE’s iZone, where she supported the implementation of innovative school models across the city. Christina is a high school English teacher turned education researcher. At Digital Promise, she serves as the project director for Marketplace Research. Through her work, she aims to build district capacity for conducting research and improve the use of research in ed-tech product development. Dwight has worked in education most of his adult life. He has served as an elementary and middle school teacher; elementary, middle and high school principal; coach and athletic director; assistant superintendent; superintendent and state commissioner of education. Jessie previously held several executive positions in leading EdTech companies including, Kaplan, LeapFrog and Blackboard. Recognized by Forbes “Impact 15,” she has dedicated her career to expanding access to high quality learning experiences for all students through industry leading innovative technologies. Joshua has been CEO of PDK International since June 2015. He began his career as a Special Education teacher in Brooklyn, NY and served as superintendent of Montgomery County, MD and Stamford, CT.
Karen is a leading voice for transforming American education through technology, innovation and research. She previously served as Director of the Office of Educational Technology at the U.S. Department of Education. Prior to joining the department, Karen directed Apple’s leadership and advocacy efforts in education. Katrina works to bring together diverse stakeholders across the ed tech landscape to make better tools for learning. She formerly served as the Deputy Director of the Office of Educational Technology overseeing Future Ready, the Ed Tech Rapid Cycle Evaluation Coach, education innovation clusters and developer outreach. Leslie assists teachers and principals through analysis of instructional data and recommends technology enhancements to improve their ability to meet the needs of their curriculum and instructional practice. Prior to her current role, Leslie was a classroom teacher for 11 years. Maia executes innovative partnerships and quality solutions for students and teachers. She previously worked for Kaplan and served in a variety of executive positions with the New York City Department of Education and as strategy consultant for management consulting firms. Mark is a lifelong entrepreneur since winning the business plan competition at Cornell University and building one of the earliest first education publishing subscription businesses. He has co-founded, built and/or served as executive chairman or CEO for numerous leading publishing, technology and community companies. Michelle brings experience in volunteer management, event planning, and arts administration to Digital Promise. In her last position at the San Francisco Symphony, Michelle supported all large-scale fundraising events and managed major donors and sponsors lists. Sara's experience in administration at the school district level brings a unique perspective concerning the systemic implementation and integration of technology at the district, school, and classroom level. Her research interests lie in exploring the relationship between educational leadership, technology leadership, and resource management. Terry started his career in software. In 2005 he ran sports/HIV programs in South Africa, after which time he served as EVP International for Riverdeep/Houghton Mifflin Harcourt before co-founding the personalized learning company Fishtree in 2012. Tim spent over 10 years in public education, both as a high school math teacher and a K–12 math coordinator. At DreamBox, he oversees the development of innovative learning experiences that engage students in mathematical thinking and provide teachers with useful information to support differentiation and personalization in their classrooms.